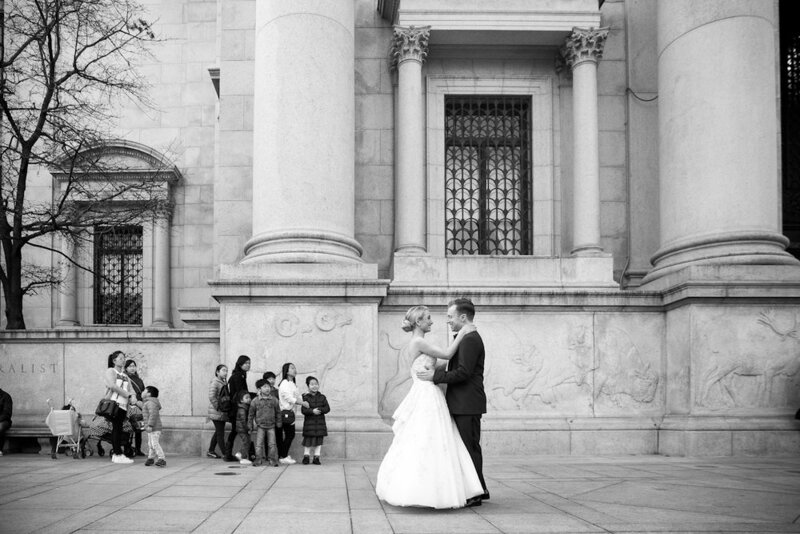 Rachel and Mike were married on a beautiful sunny day in March. They lucked out with lovely warm weather, which allowed for dreamy portraits just outside the American Museum of Natural History. Right around the corner from where Rachel grew up on the Upper West Side. 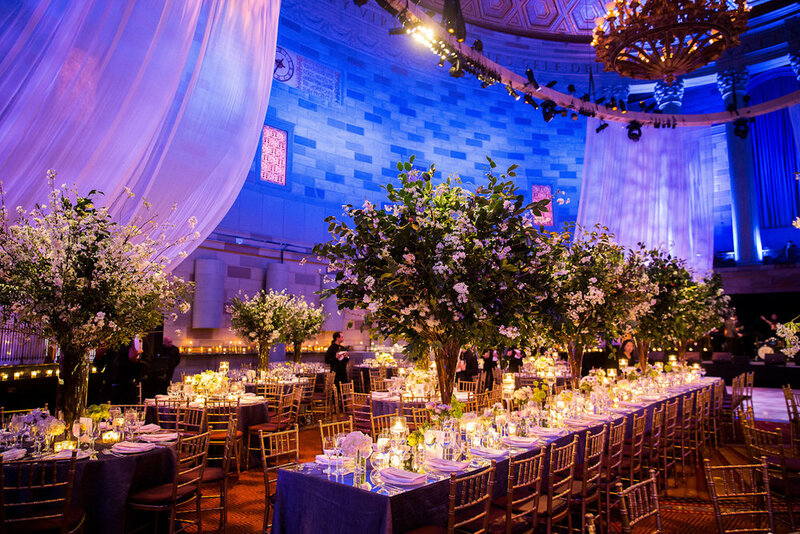 Their ceremony and reception took place at Gotham Hall, where Fleurs brought such an elegant, classic and glamourous touch. A timeless palette of green and creamy whites, mirror tops on the tables and a flood of candlelight throughout the room. 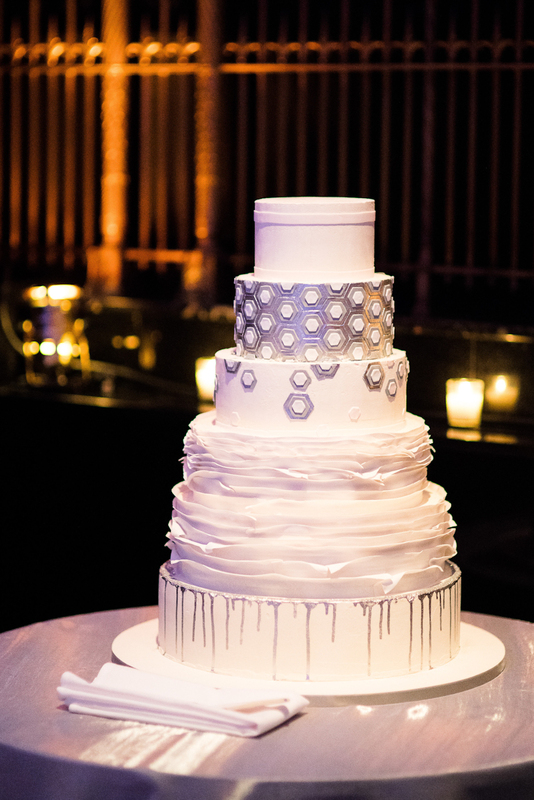 The architectural details in the gold dome of Gotham Hall were replicated in the envelope liner of their invitation suite and their textured wedding cake. Their hand illustrated save the dates had their adorable dog sticking his head out the window of the yellow cab. Thank you to Roey Yohai for these beautiful images!